The military's strong culture creates opportunities for sharing resources to help families through stressful times, but the military has been criticized for not offering a more formal structure of support. "My 12 year-old, at one point, he asked me 'when dad leaves, does that mean you’ll be divorced'?" Gallagher recounted. "He knows a lot of his other friends have parents who are separated for a long period of time, and they get divorced! And it’s like no, we’re not going to get divorced buddy, don’t worry about that." Of course kids worry. But worry isn’t always bad. It's high amounts of early stress and trauma that can cause a lot of problems down the line. Military kids have both during a deployment, when their lives start to read like a checklist of risk factors: single parent households, upheaval, anxiety about parents being hurt or killed, household financial pressure, and on and on. Statistics even show maltreatment and neglect of military kids is on the rise. Kerri Gallagher said her family is still feeling the effects of her husband’s deployment seven years ago. One of her daughters was then thirteen years-old. “It made her angry. She’s 20 years old and she’s still in counseling. Toward the end of that deployment is when she became sexually active, and she started smoking pot." Expanding research shows risky behavior in kids and teens can be a side effect of the way too much stress changes their brains. To dull the effects of stress and trauma on their kids, these moms are practiced at finding resources to help with money, time, and ideas for helping kids feel stable and safe. Many of this resource gathering happens informally. The military does try to erect a support structure, mostly in the form of locally run Family Readiness Councils. But the military has been criticized for not doing a good enough job helping families through all the stages of deployment. 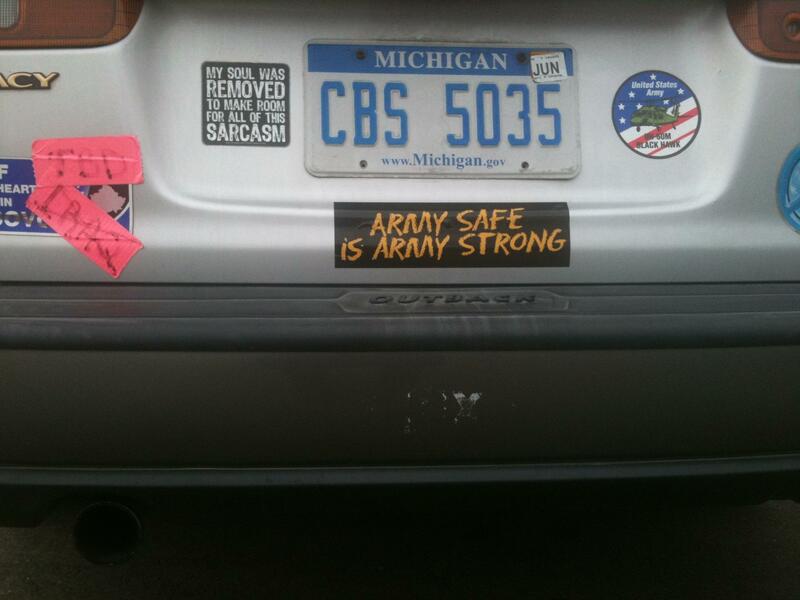 This is especially true for families in the National Guard and Army Reserves. Almost all service members in Michigan are in one of these two branches, over 17 thousand of them. Kids with parents in the Guard or Reserves have risk profiles that mirror the country’s most at risk kids. In part, it's because these families have the hardest time connecting as they’re scattered all over the place. There is no military base in Michigan that provides housing for families. Sucheck used to be one of the military's Family Assistance Coordinators and another woman I spoke with, Elena Bridges, works in that position now on the west side of the state. Even they said the military can leave families unsupported. "Army National Guard and Army reserves I feel, a lot of times, are forgotten." Sucheck said. After one of her husband's deployments, Sucheck published a guide to all the resources military families can access called Operation Military Resources. Prior to that, the Army didn’t have a guide at all. All of the women I spoke to use the guide. They said things like emergency funds, respite childcare and money for tutoring make their job easier. There are even little things called "Daddy Dolls" listed in the book, dolls to snuggle with personalized with the soldiers' face. These moms work or run serious volunteer activities in addition to raising their children. They know they need to keep life at home like it was before deployment to minimize stress. And they keep tabs on their kids' schools to make sure they are being supported there. Then, there's trying to keep their own stress low so they can handle it all. Kerri Gallagher said given all of this, she appreciates it when regular people show her they have her back. These moms also said their kids' dads do a lot to help make it easier on their children, even when they’re far away and in the middle of dangerous situations. They mark special occasions, keep up with their kids' activities at school and stay in touch. Janae Rodriguez makes sure to point this out to her children. "I said 'there are a lot of kids right now in this country whose fathers are not involved. And your father is a hero and he’s over there fighting for us but he’s still calling you, writing you, doing things and being involved in your life. He's still involved across the world.'" Stress is a part of military life. If parents can help their kids reduce and process it, research shows their kids can develop character traits to help them be successful. These parents are banking on it. *This story was informed by the Public Insight Network. Share your story with us.